Finding a balance between my 9-5, my photography sessions and illustration seems to be a juggling act I’m still trying to ace. My momma got on me yesterday for drawing while watching a movie. “This isn’t how you relax”. She just looked at me and laughed. I continued to watch my movie and draw at the same time. 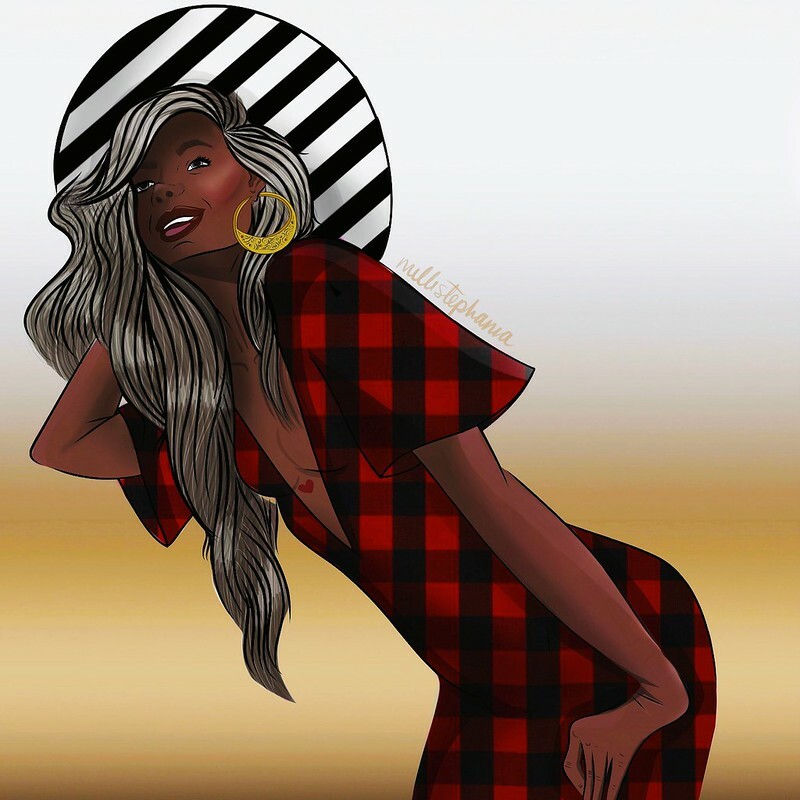 This illustration is inspired by glowprincesss and her gorgeous ways. See more of illustrations in my portfolio! Ready for the summer like…..yaaaaaas! I created this melanin queen in honor of all the great weather we’ve been having lately. I’m ready for the summer to begin.. let the BBQ’s start, bump up the music, and bring me my floaties for the pool. Is there anything going on this summer that you guys are looking forward to? I know I have a couple of festivals and concerts to attend, that I can’t wait for. Wait.. am I wearing! ?